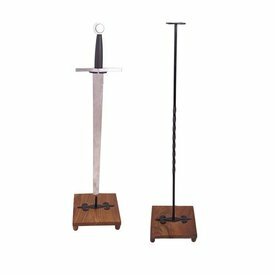 This sword is base on the sword of Sir Thomas Braunstone that was used around 1401. 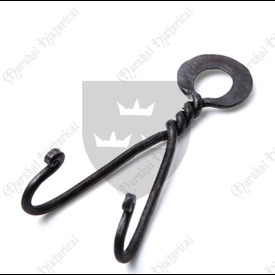 It represents a combination of historical knowledge and years experience in forging swords. 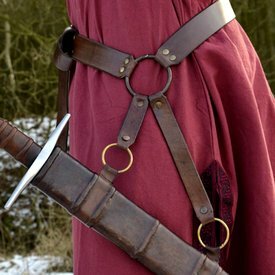 The light weight and the high quality of steel make the sword perfect for frequent use. Swords like this are found all over Europe, i.a. in France, Italy and Spain. This sword has a length of 109,5 cm with a blade of 87 cm and a cross-guard of 24 cm. This sword is an Oakeshott type XVa.